If there’s one natural stone that is precious in China, it’s jade. The gemstone is used as both an ornament and as jewellery in the country. Aside from this, jade stone was also historically used to decorate axe heads, knives and other weapons. This was due to its toughness in comparison to the other stones. It was Nephrite jade – a softer form of the stone – that was put to use in pre-1800 China for utilitarian and ceremonial purposes. And even still today in this country, the jade stone has a special significance. In fact, it has a similar value as gold and silver do in the West. It is this stone that also takes centre stage in Jade Heaven, which comes from the Casino Technology developer. Of course, you’ll get to see some Chinese imagery on display across the reels. And further to this, there are some Chinese character icons on the screen too. However, it doesn’t incorporate any kind of thematic soundtrack. This is something that this developer needs to work on in many of its games. All in all though, from a first impression stand point, Jade Heaven is very welcoming. If you have an interest in playing this game, then you will see a fairly familiar layout on display to play through. This features five reels and three rows, which is a very standard video slot display. As well as this, there’s the opportunity to place bets on a total of 15 different pay lines. However, for those gamers who have a preference for customising the amount of active win lines, this is possible in Jade Heaven. Simply click on the button in the bottom left corner of the screen. This will bring up the game’s menu, which is also where you can alter your wager from. You may notice that a single coin in the slot has a value of $1. Therefore, $15 exists as the game’s minimum bet across all lines. However, you do have the chance to change how many of these coins are in play per active line. The game offers up a range of between one and 30 for this. Therefore, the maximum overall wager stands at a total of $450 per spin. Casino Technology has also made sure to add a strong, high quality selection of graphics into this game. Therefore, it will all look very visually appealing to players. At the top of the reels, you’ll see some imagery of cherry blossom trees and the roof of a Chinese temple. As well as this, there are some great icons upon the slot’s reels. The first of these are present in the form of the often seen playing card symbols. There’s the yellow 9, the orange 10, the blue J, the green Q, the red K and the purple A. Together, these work as the game’s lowest paying icons. After these, you’ll see a couple of golden ornaments – one a tortoise on top of some coins and the other a jade-infused platypus on top of coins. Either of these have the ability to reward players with a maximum pay out of 15,000 coins. Not only that, but there’s also an icon of a tiger. Following on from this, two character icons also exist on the reels. There’s a beautiful Chinese woman and a Chinese man who looks like the Emperor. While you’re spinning the reels of this online slot, you’ll also be able to see some special features come into play. All of these will assist you in boosting the balance of your winnings. For example, there is the inclusion of a wild symbol, which is an older man. He looks very much like some kind of strategist. Wild icons are able to stand in for any other icon on the reels in order to form a winning combination. And if you manage to bring five of them into view on a winning pay line, you will receive up to 300,000 coins as a reward. The only symbol that this one won’t substitute for is the inclusive scatter icon. And looking at the slot’s scatter, this is present in the shape of the yin yang image. Scatter symbols have the ability to provide you with a reward wherever they show up on the reels. For example, if you manage to bring five of them into view anywhere, you will receive a maximum pay out of 45,000 coins. And not only that, but three or more of them will reward you with 15 freespins. During this feature round, any wins that you manage to form will receive a triple multiplier. Furthermore, if you spin three or more scatters into view during this feature round, you’ll receive 15 more freespins. There’s also the inclusion of a gamble round in this game too. This becomes active after every winning combination that you create during the base game. If you decide to play this, a new screen will come into view. On it, you will see a face down playing card. You need to guess the type of card this is before turning it over. If you make a correct guess of the colour of the card – red or black – then your winnings from the triggering round will receive a double multiplier. However, you can also try to guess the card suit that it features. A correct guess of this will quadruple those same winnings. Jade Heaven doesn’t particularly bring an uncommon theme to the centre of play. 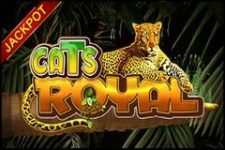 And actually, we know of several other online slot games that incorporate a very similar theme to this one. So, if you like it and want to play similar games, read on. To begin with, there’s a slot from Ainsworth known as Jade Emperor. This one incorporates 30 win lines across a five reel, three row layout. 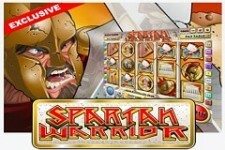 You’re also able to win between 10 and 25 freespins from three or more scatter symbols. Not only that, but there are four jackpot tiers for you to try and win too! Or how about trying the Jade Tiger slot instead, which is also from Ainsworth? Again, you’ll find the same setup and 30 win lines. 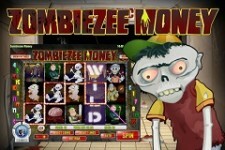 However, this game sees stacks of wild icons appear on the central three reels during the freespins round. Furthermore, the freespins round is just one of two different bonus features for you to trigger. 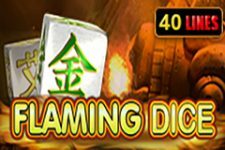 And finally, we can also recommend that you play Jade Charms from Red Tiger. You have the opportunity to activate 10 freespins in this game, while 20 pay lines exist in it too. Wild icons also appear across all of the slot’s reels. As we said before, the theme of this game is certainly not novel or unique. China and jade stones have been the centre of many others. However, Casino Technology do bring some impressive graphics to the screen in this one. Meanwhile, the few special features that it contains make it all the more entertaining to play.